Our Land of Fire tour starts in Kyoto, former imperial capital and repository of much of Japan's cultural heritage. We visit Asuka, where Japan's early Emperors are buried, then a boat journey through the Inland Sea brings us to the southern island of Kyushu. 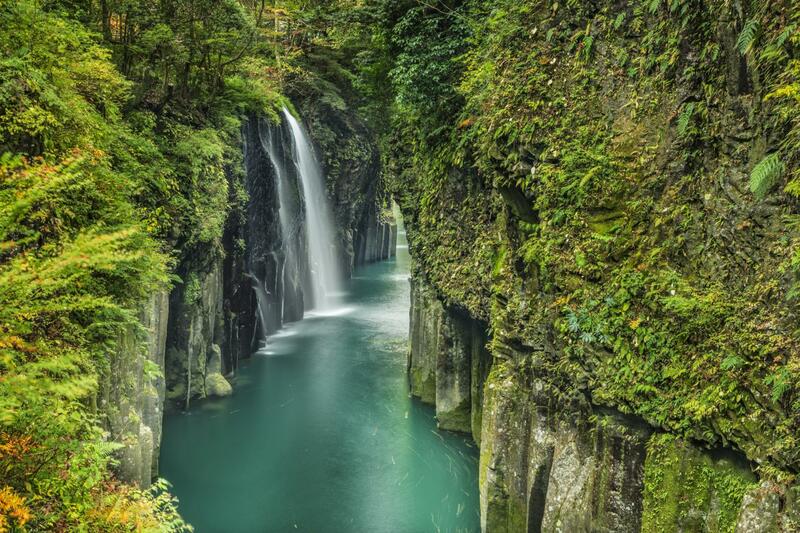 Known as the cradle of Japanese civilization, several locations are connected with the Japanese creation myths which inspired the Yokagura dances in Takachiho. 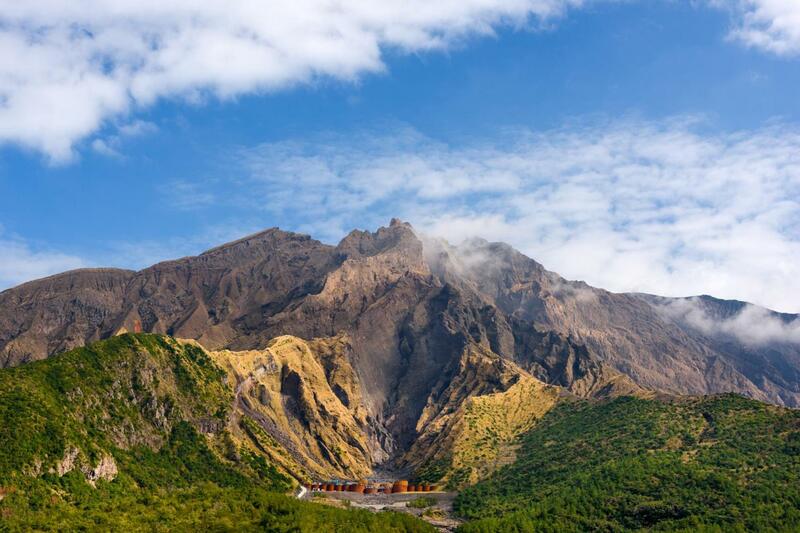 Kyushu is also known for its numerous active volcanoes, as well as the spectacular island of Yakushima to the south, a national park and UNESCO World Heritage site. Unique flora and fauna can be admired here, including giant Yakusugi cedars, Yakushima yakushika deer and yakuzaru macaques. A natural by-product of the volcanoes are onsen hot springs and we will enjoy relaxing dips in their soothing waters, as well as the unforgettable hot sand baths at Yamakawa where we are buried in hot sand. 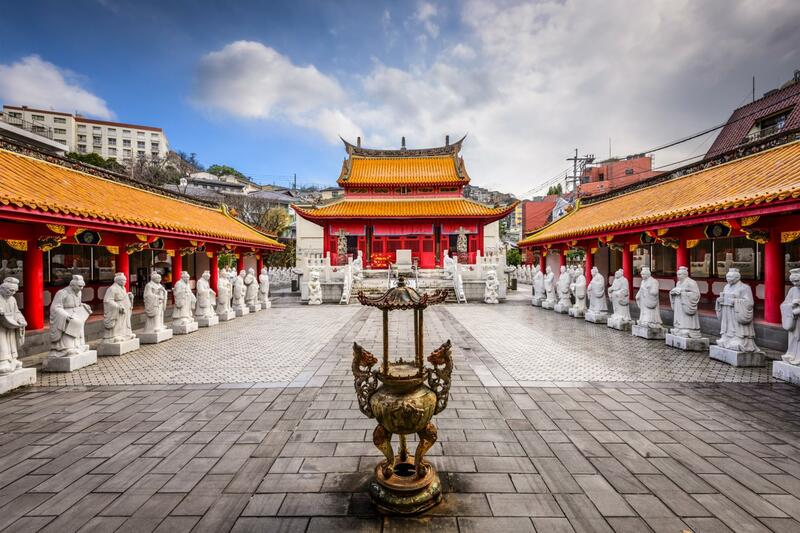 View Mount Aso with the world’s largest volcanic caldera and visit the vibrant city of Nagasaki. Stay at traditional inns and guest-houses, enjoying dishes prepared with the freshest ingredients. Our tour ends amidst the crowds and neon of Osaka, Japan's second city and culinary capital. 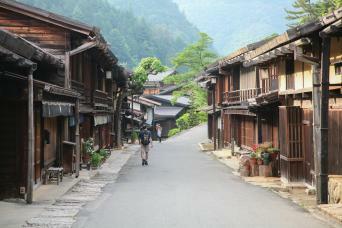 Japan is a small but complex country with a long history and rich culture. I really want to make my guests' experience special! After working as a tour leader for 10 years, a period of his life when he traveled widely, Michiharu has been guiding for the past 6 years. 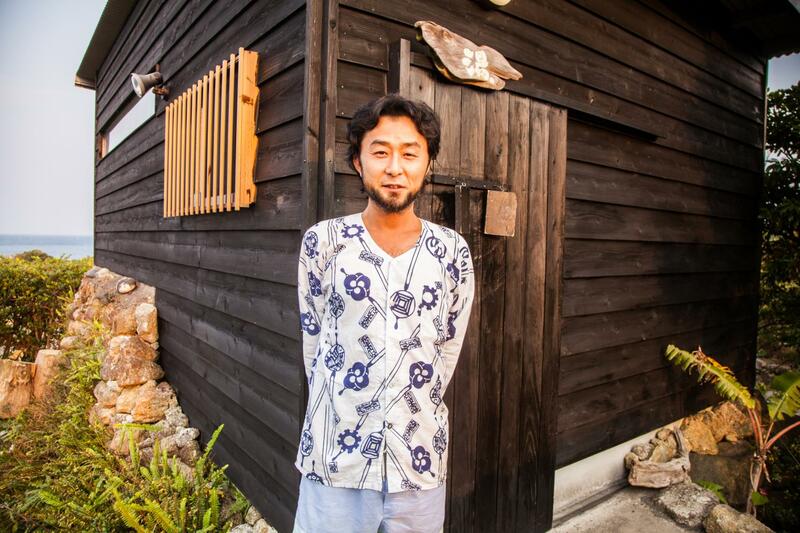 Michiharu now lives in Nishinomiya city, home to the Koshien stadium and an important local Sake brewing industry. An expert on Japanese gardens, art and history, he also has a specific interest in the natural environment of Japan. 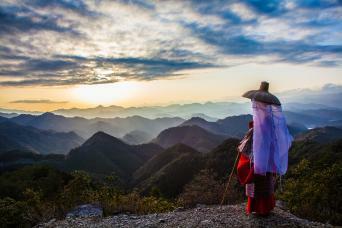 Michiharu finds the relationship between Japan's history and the country's nature fascinating. He believes that guiding is a very creative job, giving meanings to unfamiliar objects and inspiring images in clients' minds. Meet your guide and other group members at the tour hotel in central Kyoto in the evening. There will be a Welcome Dinner at a local restaurant. 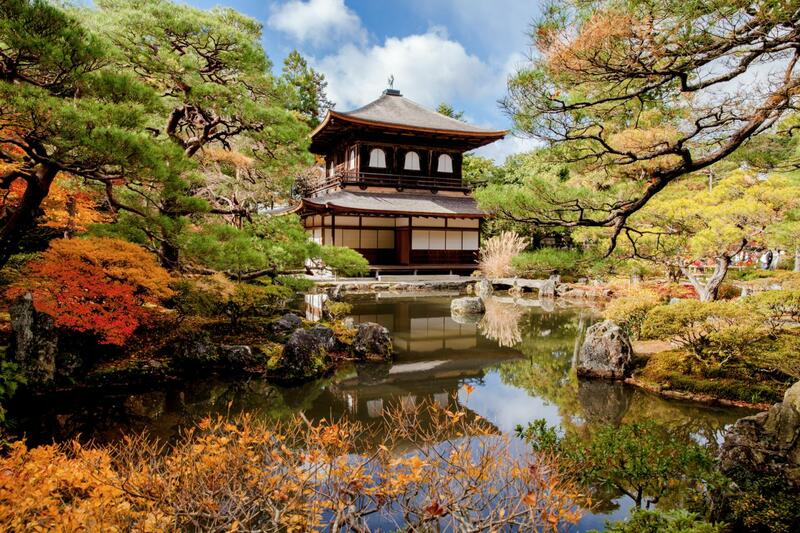 We have a full day to discover the ancient capital of Kyoto. We first visit Ginkakuji, the Silver Pavilion, then walk along the Philosopher’s Path to Nanzen-ji Temple. After lunch we see Nijo Castle, the Kyoto residence of the Tokugawa Shoguns in the 17th century. Built in the Momoyama style, the building has 'nightingale' wooden floors which creak when walked on - a security measure against intruders. We then head to Nishiki market, known as 'Kyoto's kitchen' and gaze at the fabulous array of seafood, pickles, tea, sweets and other foodstuffs on display. 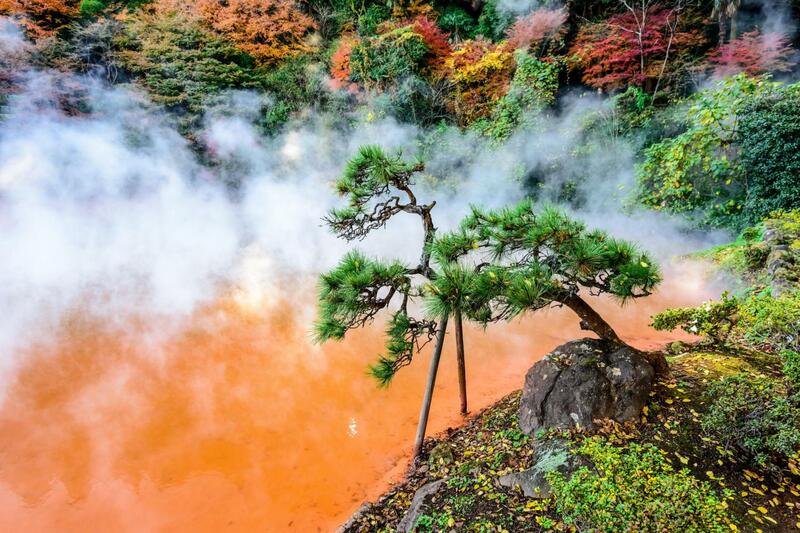 We take a short train ride from Kyoto south to Asuka, Japan's first permanent capital. On the southern edge of the Yamato Plain, Asuka is home to some of the first Buddhist temples in Japan. The town is also dotted with burial mounds, said to be those of the first Emperors. From Asuka we make our way to Osaka port, and catch the overnight ferry through the Seto Inland Sea to Beppu. On board we have private cabins and can even enjoy a Japanese bath! Arriving in Beppu by sea can be a dramatic and memorable experience. 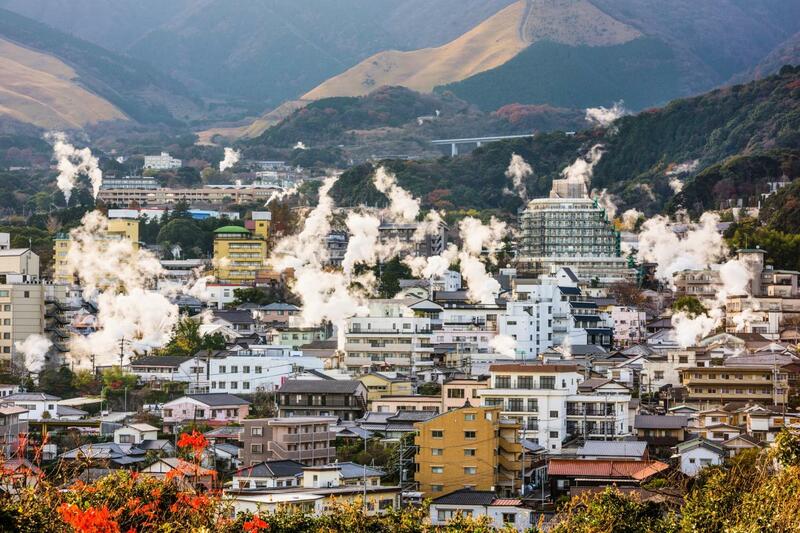 The city is surrounded by mountains, and steam from the abundant hot springs rises skyward to give it an otherworldly feel. We board a bus for the 90 minute journey to Kurokawa Onsen. We check in to our traditional Ryokan, and enjoy a soak in one of the many hot spring baths in the village. Dinner is a multi-course feast at our inn. 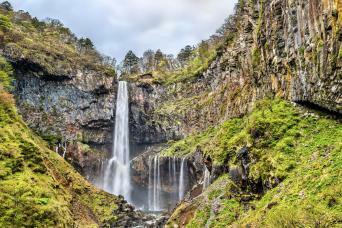 From Kurokawa Onsen we travel by private chartered coach to Takachiho. We can hope for views of Mount Aso, the largest active volcano in Japan and one of the biggest in the world; the peaks of Taka-dake and Naka-dake dominate the Aso skyline. 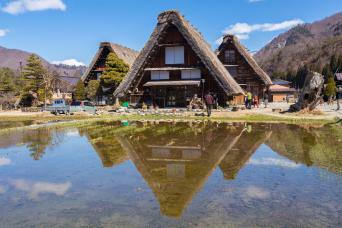 We pause at Shirakawa Springs, source of the Shirakawa River which flows through Kumamoto city, and the best-known of the natural springs in the Minami Aso area. Join locals and visitors sampling some of the most highly-regarded mineral water in Japan! We are based in Takachiho for two nights. After breakfast we visit the shrine of Amanoiwato, literally the ‘Shrine of the Sun Goddess‘. We continue to Takachiho Gorge, with its strange rock formations created by volcanic activity, which have become part of local folklore and the Japanese national creation myth. We enjoy a short walk along the gorge and lunch at a small teahouse. After dinner at our Ryokan, we visit Takachiho shrine to see the Yokagura - sacred dances which tell the mythical story of Japan’s creation. Leaving Takachiho, we travel to Kumamoto to visit Suizen-ji Garden, a traditional landscape garden which includes a miniature Mount Fuji. After lunch we continue south to the city of Kagoshima, dramatically situated on Kagoshima Bay opposite Sakurajima, an active volcano. We visit Sengan-en, the lovely villa and gardens of the the Shimazu Clan. Kagoshima has a culture and cuisine distinct from other parts of Japan. Shochu, a spirit usually made from sweet potato is favoured over sake, and slow-baked ‘kurobuta’ (a breed of Berkshire pig) as well as grilled bonito (skipjack tuna) are two typical local dishes. We head further south this morning by train along Kagoshima Bay to the seaside town of Ibusuki. Here thermally-heated mineral water bubbles up through the black volcanic sand on the beach. 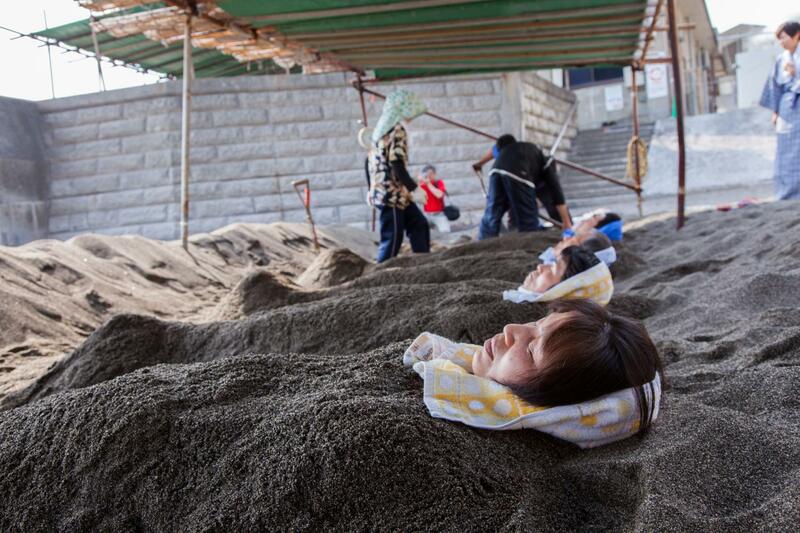 Locals mix the sand to ensure a steady temperature and we will don cotton yukata robes to be buried in the warm sand. Very relaxing! Return to Kagoshima for dinner. From Kagoshima we travel by ferry to Yakushima Island, a UNESCO World Heritage site. The small population lives around the coast of this mountainous island, while the interior is almost totally undeveloped. 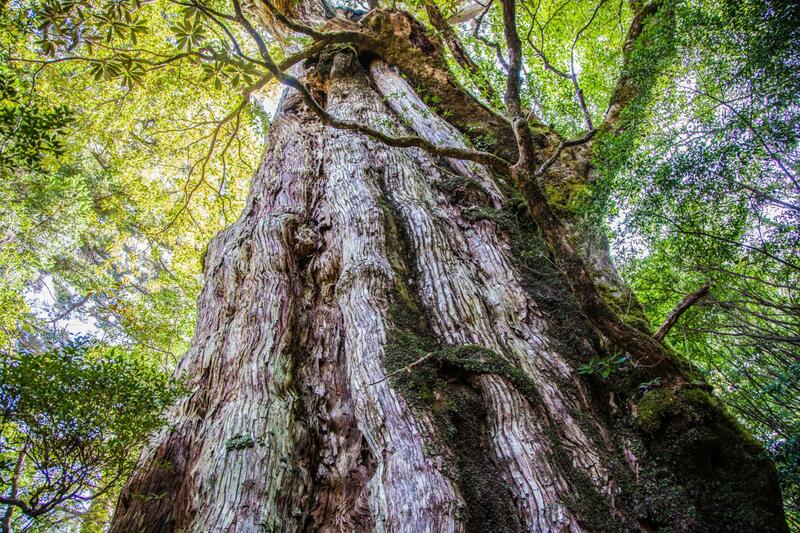 Giant cedar – yakusugi – stand tall in the moss-laden forest, some of them are thousands of years old. Around the coast are stunning beaches, and hot springs. We will stay at a local guesthouse to enjoy the local hospitality and evening meals prepared from the day’s catch. 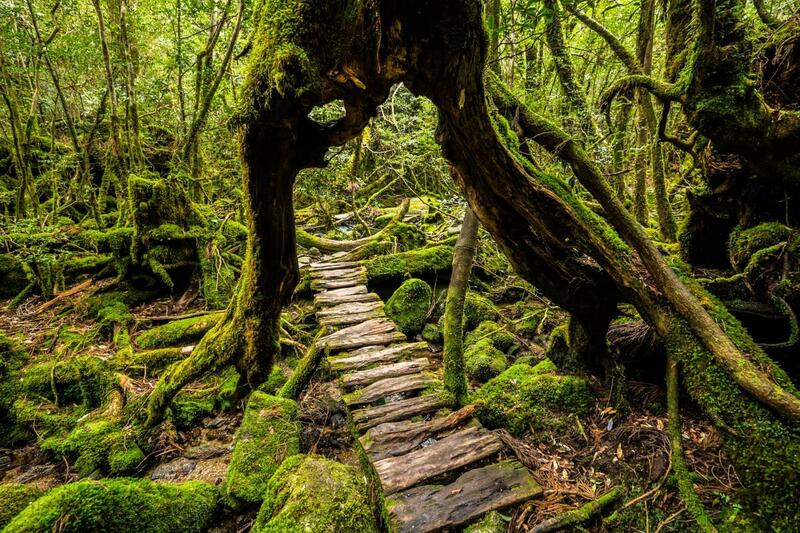 We have a full day on Yakushima. We hike into the interior, walking amongst the giant yakusugi trees, and if we are lucky spot some of the macaques. 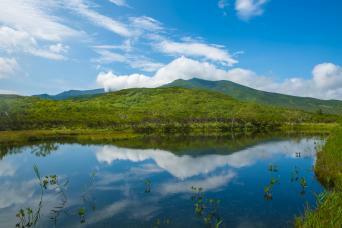 The centre of the island is a temperate rain-forest, and the highest peak on Yakushima is the tallest mountain in the south of Japan. It’s a unique ecosystem and has escaped any significant development. We return by bus to our guesthouse. Our third day on Yakushima is spent visiting a lovely beach and one of the most spectacular hot springs in Japan, built into the rocks lapped by the waves. After lunch, we enjoy a short walk to on the trail to a charming hidden waterfall. Leaving Yakushima by ferry, we board the shinkansen Bullet Train in Kagoshima and travel to Nagasaki. After centuries as an international port, Nagasaki is today a vibrant, modern city. The city never forgets its past, however, and there are important memorials to its history. We check-in to our hotel and there will be free time before dinner. This morning we visit Dejima, the site of the former Dutch trading colony in Nagasaki. Dejima used to be an island and Dutch traders were not allowed to live on the mainland. Dejima has been restored and you can see replicas of some of the original buildings. We then visit Sofuku-ji temple, built by Chinese settlers in the 17th century. We have free time to relax and perhaps shop for souvenirs in the afternoon, or to visit the atomic bomb memorial. We visit the Glover Garden this morning. The mansion and gardens, with wonderful views over Nagasaki, were built for Thomas Glover, a Scottish entrepreneur who helped modernize Japan's shipbuilding and mining industries. The location is associated with Puccini's opera 'Madame Butterfly'. After lunch we board the shinkansen Bullet Train for our journey to Osaka. There will be free time to relax and perhaps shop for souvenirs and in the evening there will be a Farewell Dinner. Our tour ends today after breakfast at the hotel in Osaka. Your guide will be on hand to offer assistance and advice for travelling to the airport if you have homeward flights, or on onward travel if you are extending your stay in Japan.